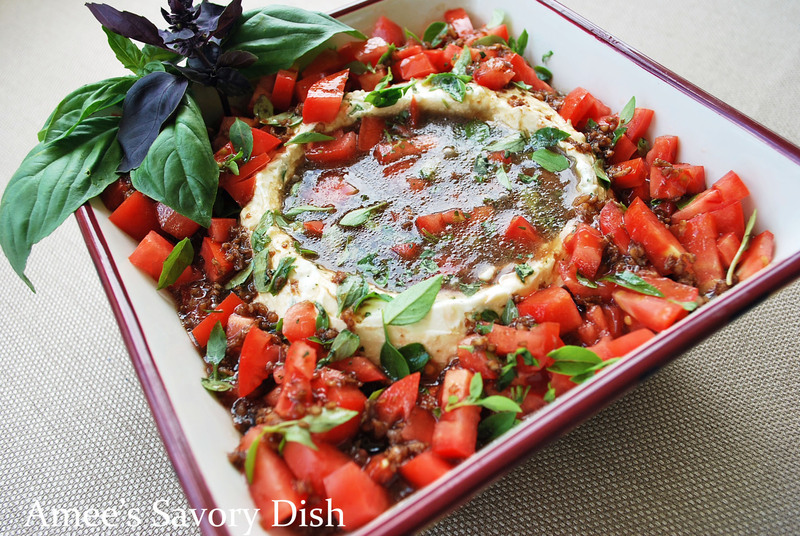 Healthy caprese dip is so good, you may not save any room for dinner! Fresh tomatoes and basil, plus two kinds of cheese, drizzled with balsamic vinaigrette. You’ll love this healthy dip recipe! Enjoy this healthy caprese dip recipe! Wow! I can see why the name fits…looks delish. But I wonder why you can’t use low fat cream cheese? It seems like it would work in this recipe. thanks! I pinned your dip on Pinterest and it is the most re-pinned one to date! I can’t help but wonder if there is a missing ingredient? From your picture it almost looks like there are capers, or seeds of some kind? Or is that the minced garlic? Thanks! I am making this tomorrow! Hi Vera! Thanks for stopping by! That’s awesome that this dip is so popular, it really is sooooo good!!! Everything is there for the recipe, it’s probably the garlic that you see, definitely no seeds. 🙂 I hope you enjoy it! Looks perfect for all of the tomatoes I have ripening on my vines. Pinned and tweeted too. Love it. Love this, Amee! Looks so flavorful and addictive!